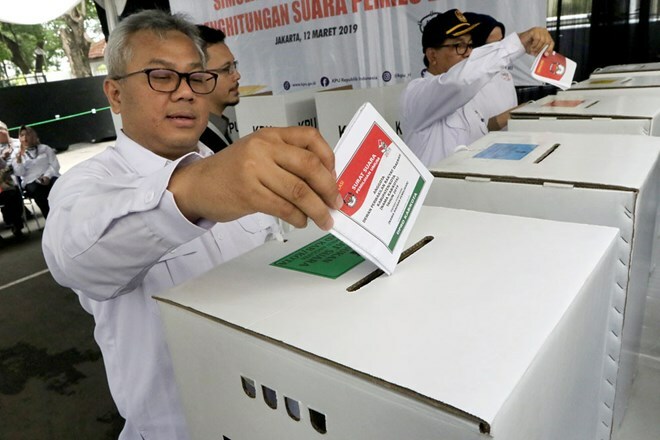 Jakarta (VNA) – Six regencies in Central Java of Indonesia are not fully prepared for the country’s upcoming general election in terms of logistics, said head of Central Java General Elections Commission (KPUD) Yulianto Sudrajat. The regencies are Pati, Klaten, Sukoharjo, Grobongan, Sragen and Wonogiri. The KPUD will strive to complete necessary logistics in upcoming days, Yulianto said. In addition to the 115,000 people recruited by the KPUD to assist voters during the election on April 17, Central Java police said nearly 22,000 police officers would help secure the area to deal with any conflicts. Central Java Governor Ganjar Pranowo previously urged the commission and the Elections Supervisory Agency (Bawaslu) to inform the public about new election rules following a court ruling on the matter last month. Accordingly, voters can correct their details up to seven days before the election. People who do not own an electronic identity card can also vote by using a letter from their local population and civil registration agency. Technical issues pose a challenge to the general election in Indonesia, as each voter will cast five ballot papers of different colours. More than 5.6 million staff will have to handle various steps to manage about 809,500 polling stations nationwide and overseas. Once the vote casting ends, the staff has to fill all documents and forms by hand to submit to the General Elections Commission (KPU), which amount to 49.